This tutorial will show how to load multiple configuration files from different directories with Spring Boot. in /config subdirectory of the current directory. You may want to load multiple externalized configuration files located in different directories. This tutorial will show how to do it. 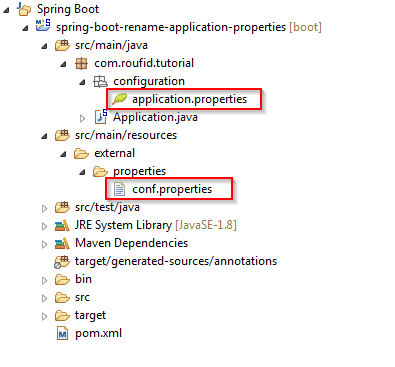 application.properties and conf.properties are two configuration files we want to load in our Spring Boot application. The first way to tell Spring Boot to load our configuration files is by using command arguments. 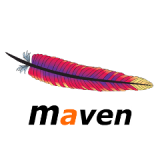 Spring Boot provides the argument spring.config.name to set configuration files names seperated with a comma. The second command line argument is spring.config.location in which you must set the locations where Spring Boot will find your externalized configuration files. Spring Boot will now pick up application.properties from /com/roufid/tutorial/configuration/ and conf.properties from /external/properties/. You can use environment variables to tell Spring Boot to pick up what you want where you want. 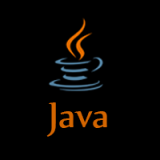 set the name of your externalized configuration files in the SPRING_CONFIG_NAME environment variable seperated with a comma and the locations in SPRING_CONFIG_LOCATION.